You are currently browsing the Suburban Homesteading – Frugal Living blog archives for December, 2016. A few weeks ago I wrote about feeling like a complete and total failure at this homesteading thing. Work and life over the past several months had gotten so much in the way of my farm life that my little homestead was showing the despair of it all. In that piece I talked about picking myself up, brushing myself off and starting fresh. Little-by-little I have been working on it, taking at least one project each weekend and completing it. One foot in front of the other has been my motto, each baby step getting closer and closer to getting back on track. The first weekend of reining back my homesteading life was actually really fun. It had been months since I spent much time outside and on this unusually warm Saturday I spent most of the daylight hours out in the fresh air and sun, just puttering, as I call it. I refilled my patio water trough planters with new soil, breaking up the clumps and smoothing out the soil for planting. 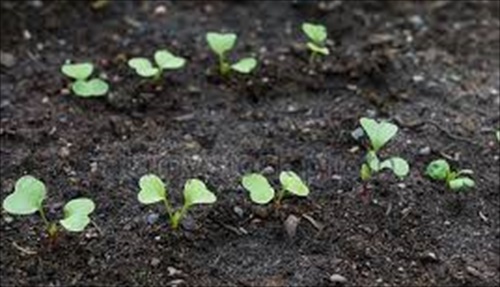 I sowed seeds for a few cool weather veggies I use often, like carrots, beets, spinach, radishes, and a variety of lettuces. 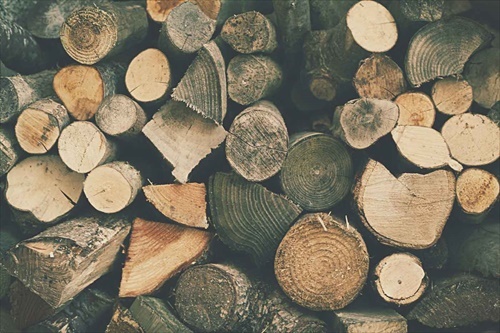 Our mild winters make it possible to garden year-round. My next project was a bit harder. I hung a few long-handled tool holders on the wall of the barn so I could get my tools out of their old metal trashcan and someplace where they could be organized. The project wasn’t hard in itself, but harder because I am beginning to really feel my age. It seems I can’t run around doing 15 different projects in a day like I use to. And, of course, I don’t want to hurt myself, so my motto has become “slow and steady wins the day”. Projects may take me a bit longer, I may take a few more breaks than I use to, but projects do eventually get finished—that’s the important part. I was feeling so energized after getting my tools hung that I began brushing down the inside of the chicken coop in preparation for the arrival of my new hens. I knocked down cobwebs, brushed the windowsills and cleaned and repacked the nesting boxes. One thing led to another and soon I was raking the outside coop area and moving the dirt and straw and shavings to the sad, unused squash patch. Before I knew it I was digging out the door, which was piled up with so much dirt it wouldn’t close. My most fun accomplishment of all, though, was replacing my laying hens. 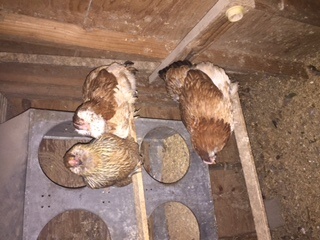 A rogue attack by an opossum had left me with just one older hen. 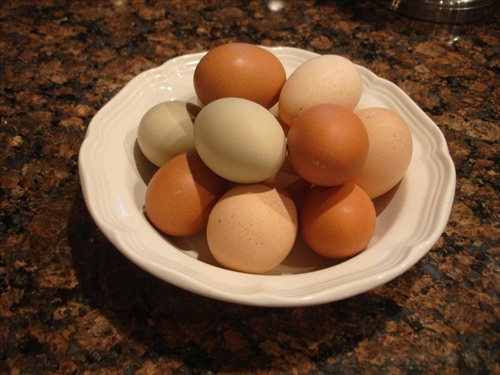 ONE hen does not make a flock, or a very big omelet for that matter. We have a local farm stand that brings in day old chicks in the spring to use for educational purposes with the public and then sells off most of them in October so they don’t have to winter them over. I had been on the list for weeks before I got the call. November 1st was my pick-up date. Not ideal since the first was a Tuesday and a work day, but I was determined to get there and pick out my new hens, so I took the morning off work. By 10:00 am I had my carrier cleaned up, in the back of my truck, and was heading down the road to the farm stand. When I got there the young ladies who run the farm took me over to the coop where all the hens were penned up. There were about 40 or so hens, mostly Rhode Island Reds and Barred Rocks. I wanted 4 or 5 hens of the same breed, but I really wasn’t interested in either Reds or Rocks. I looked around and spotted two plump Americana’s, which I immediate claimed. Now to find some pen mates. More searching and I spied what looked like the lone Wyandotte. I claimed her, too. Her companion is a greyish/silver hen with tan cape feathers, but I have no idea what breed she is. I looked in my poultry standards book and still can’t tell. It doesn’t make any difference, though. 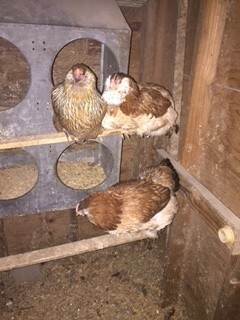 I have 5 new hens to add to my one other hen—3 Americana’s, 1 Wyandotte, 1 Cochin, and 1 mystery hen. My little flock is renewed. But, best of all…I HAVE EGGS!! 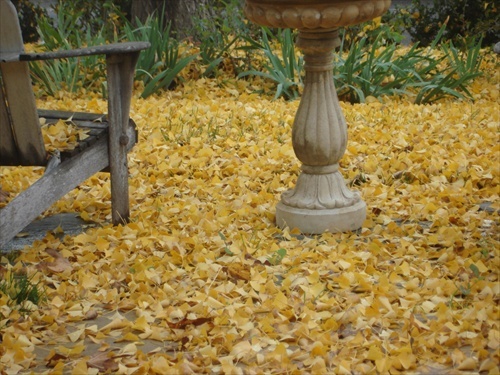 For many people, the release of fall leaves onto the yard is an unwelcome sight, fraught with raking, and bagging and disposing of mounds and mounds of debris. But, for me it is just the opposite. I welcome a yard full of fall leaves because I have always thought of them as a valuable crop (in a manner of speaking) to be harvested, shredded or composted and used as mulch in my garden. I learned, long ago, that when you shred or compost leaves you end up with nitrogen and nutrient rich garden mulch that is totally free and readily available. When you layer the confetti like leaves in garden beds it settles down with each watering or rainfall and new application of leave to knit together creating a felted like carpet that doesn’t blow away in the wind, but stays loose and porous enough to let water penetrate. My deciduous trees like the Sycamore and Gingko are in the front yard, which isn’t very big, so I don’t get tons of leaves, but what I do get is stored in an unused compost bin until I have good amount to shred. Throughout the fall they are collected and shredded and will mulch several garden beds. When life gets busy and doesn’t leave time for raking or shredding all those leaves they get mowed over with the lawn mower and used as mulch, as is, or piled into the compost bin to break down into nutrient rich soil. If I’m feeling really energetic and need more leaves than my trees can provide I ask neighbors if I can have their’s. You can always find someone willing to let you clean their yard of leaves, so they don’t have to.